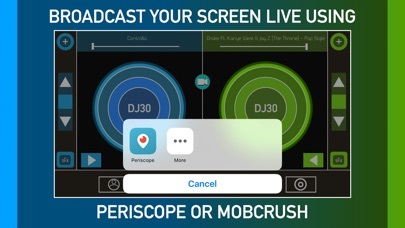 #DJ30 allows users to make a DJ mix that records the screen along with your audio and voice(optional) in the app. 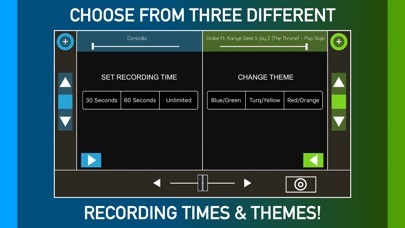 Just pick two songs from your music library, hit record, and show off your DJ skills! 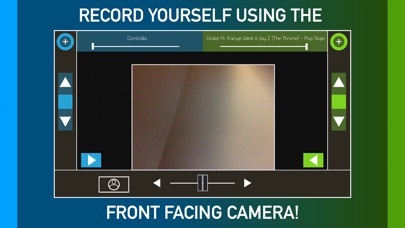 FEATURES -Can record the screen including your voice, audio, and even your face -Can broadcast screen live using Periscope or Mobcrush -Choose from over ten different sound effects -Comes with easy to learn DJ tools -Choose from three different recording times -Choose from three different themes -Save your screen recordings to your photo library -Share screen recordings with anyone -Edit screen recordings Please leave a review if you enjoy the app or have any suggestions to make the app even better! Follow on twitter and Instagram: @JARAPPS5! SCREEN ONLY RECORDS INSIDE OF APP WILL NOT RECORD THE SCREEN ONCE YOU LEAVE THE APP!!!!!! Thank you! Honestly should've warned that it doesn't record outside of the app...bought it anyway. Do not buy at all. Does not record phone screen as claims. This is such an awesome idea for an app! I love producing my own mixes using the extremely gorgeous and easy to use interface. Have never had any problems with the app, always works perfectly. Highly recommend!!! 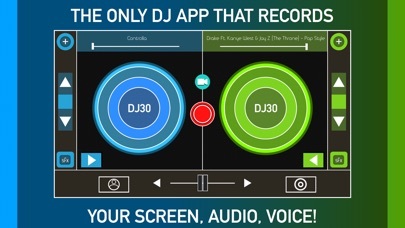 Easy to use DJ controls and love the sound effects. Worth the money! 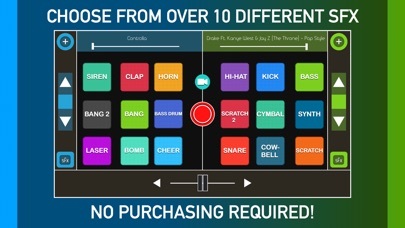 It's a good app if you wanna record yourself and add music, it's just I thought it recorded your screen for like games a stuff, and I can't get a refund so I'm gonna rate it 4 stars. Otherwise, really good.